BOXD is a new eatery in the heart of Carlsbad Village on Carlsbad Village Drive. 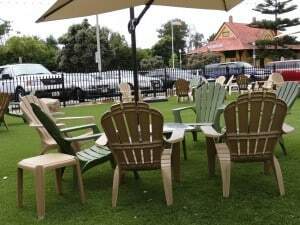 This unique restaurant offers a small park created on the large lot with tables, umbrellas, chairs, artificial turf so it’s always green, and a black wrought-iron fence that will remind you of Central Park and other city parks you may have seen. Not only is the setting unique but the food is as well. All BOXD sandwiches and desserts are served on tasty thin waffles – NOT the type you are thinking about, those big fat Belgian waffles at breakfast! The menu is small but prices are a great value – $4, $5 and $6 with a short beverage list as well. 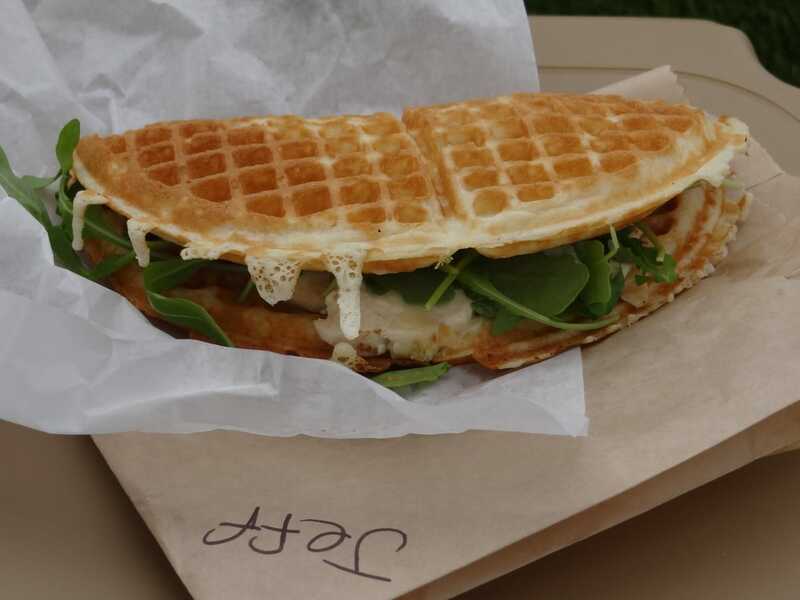 Grab a waffle sandwich and pull up a chair at BOXD in Carlsbad Village.